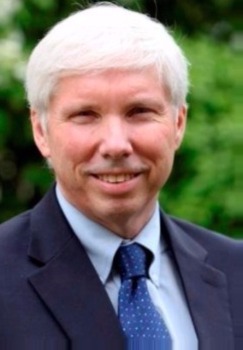 Dr. Randall Eberts is president of the W.E. Upjohn Institute for Employment Research. The Institute is an independent, nonprofit research organization endowed in 1932 for the purpose of conducting and supporting research on policy relevant employment and regional economic issues. Before joining the Institute in September 1993, Eberts was assistant vice president and economist at the Federal Reserve Bank of Cleveland. Prior to his position at the Cleveland Fed, he was an Associate Professor of economics at the University of Oregon and a visiting professor at Texas A&M University. From 1991 to 1992, Eberts served as senior staff economist on the President’s Council of Economic Advisers. He received a Ph.D. in economics from Northwestern University. Eberts’ work on education focuses on determinants of student academic achievement, the effects of collective bargaining and educational policy on student performance, and the role of place-based strategies in improving education. Currently, he is evaluating various aspects of the Kalamazoo Promise, a place-based strategy to improve college access and to enhance local economic development. He has also researched extensively the effects of local workforce investment programs on the labor outcomes of workforce participants and on local labor markets.